Features - DMARC Analyzer Trusted. Email. Delivered. DMARC Analyzer is one of the pioneers of DMARC and has been helping customers since the introduction of the DMARC standard in 2012. DMARC Analyzer provides user friendly DMARC analyzing software and acts as an expert guide to move organizations towards a reject policy as fast as possible. DMARC Analyzer provides a SaaS solution which empowers organizations to easily manage complex DMARC deployment. 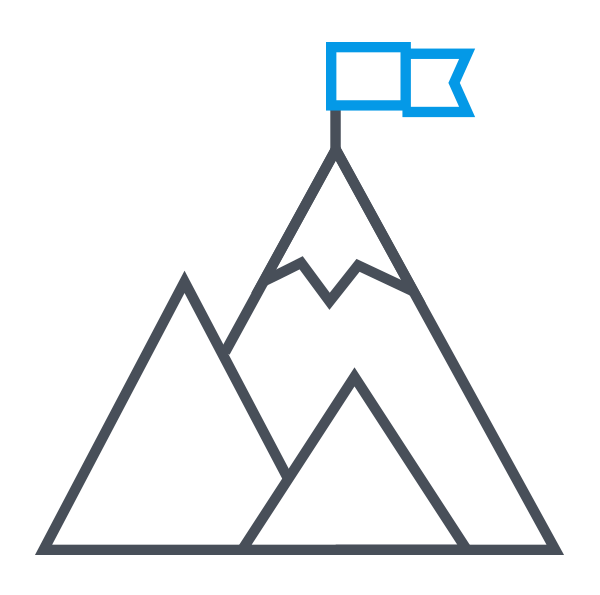 The solution provides 360° visibility and governance across all email channels. Everything is designed to make it as easy as possible. 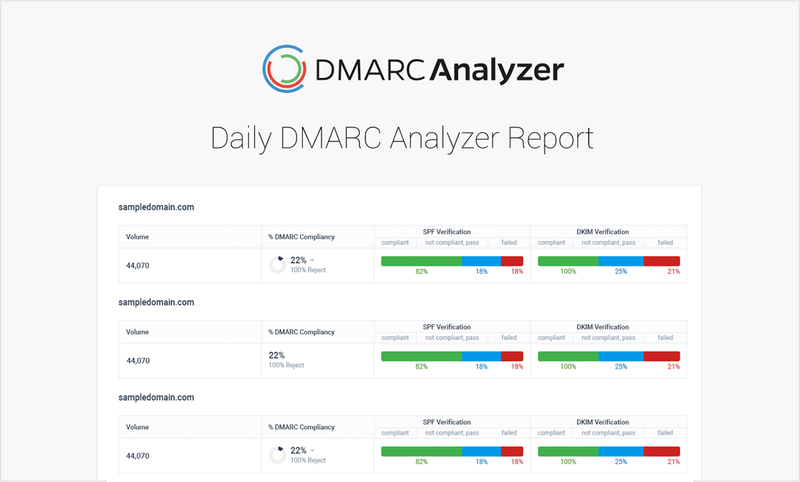 DMARC Analyzer processes all incoming DMARC reports. DMARC Analyzer presents all collected data in user-friendly charts and graphs, allowing organizations to analyze the data more efficiently and enforce a DMARC policy faster. The DMARC Analyzer Suite offers various overviews of the DMARC data which can be filtered based on a specific date range. In the overviews detailed statistics of DMARC data are visible. It is possible to group data from the aggregate reports per sending source, per result, per organization and per host. 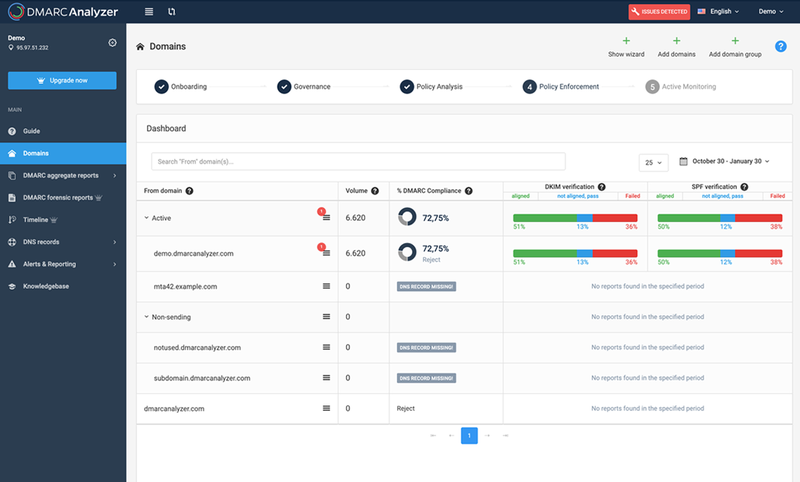 Based on DMARC Analyzers solid backend, the overviews are near-real time and very fast! Learn more about the Aggregate overviews. 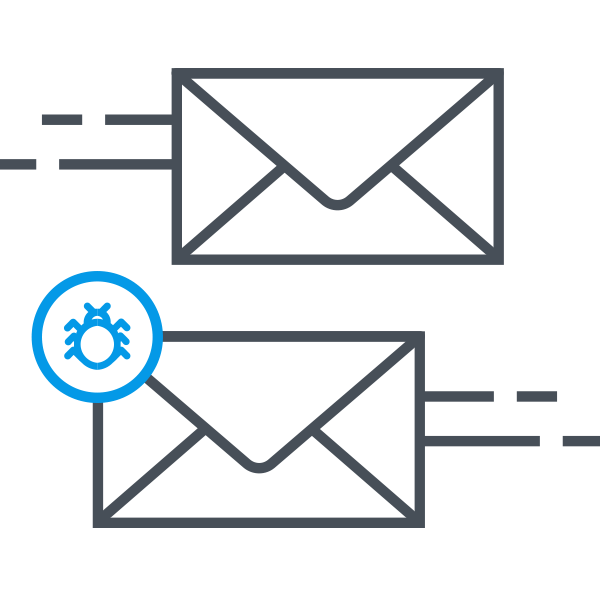 DMARC forensic reports contain detailed information from emails failing the DMARC checks. Within the DMARC Analyzer Suite it is possible to view forensic reports, allowing you to effectively track down malicious email streams. Learn more about the forensic reports. DMARC Analyzer does not charge organizations for malicious (phishing) and incorrectly setup email streams. DMARC Analyzer’s pricing model is based on the monthly amount of DMARC compliant outbound emails that get reported back in the DMARC Aggregate reports. DMARC Analyzer encourages involving multiple employees of an organization in DMARC projects, since this will make the DMARC deployment process more effective. DMARC Analyzer recommends publishing a DMARC record for all domains including parked and inactive domains. For this reason, it is possible to add unlimited users and domains to an account free of charge! Based on all processed DMARC reports, DMARC Analyzer sends summaries with the current DMARC compliance status to users. These reports show how the DMARC compliance and alignment are developing overtime. It is possible to receive these email reports on a daily or weekly basis. Securing accounts is really important, therefore DMARC Analyzer recommends setting up two-factor authentication. 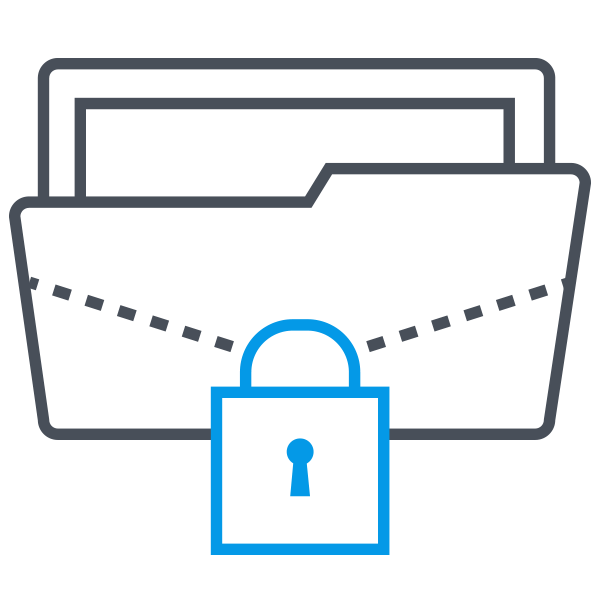 Enable two-factor authentication on your DMARC Analyzer account in order to secure it! 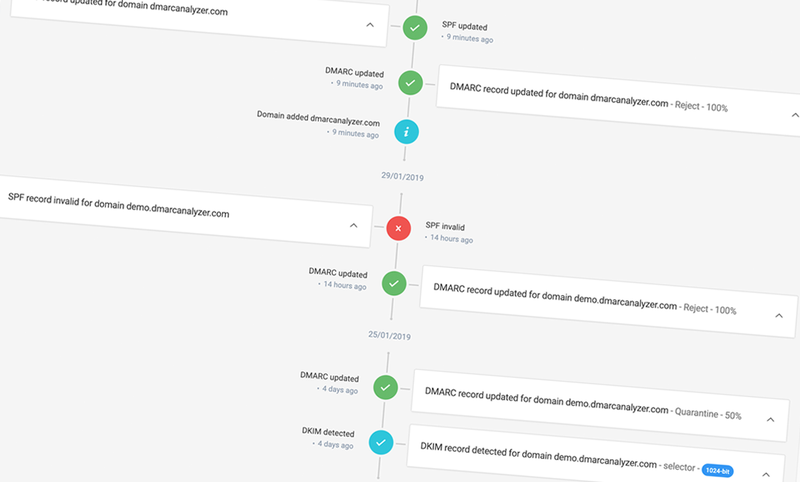 The DMARC Analyzer Suite provides a timeline which shows the detailed development of DNS records over time. These records can be expanded to show details and possible errors which occur while parsing records. This way it is possible to track progress and changes that occur. DMARC Analyzer also proactively sends emails regarding DNS changes. By doing so DMARC Analyzer ensures that none of its clients publish invalid DNS records. Within the DMARC Analyzer Suite it is possible to generate a custom DMARC record. 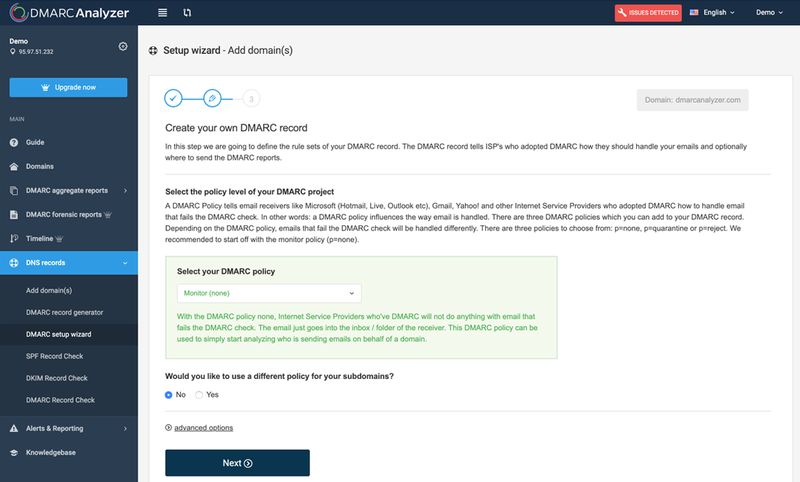 Setting up a DMARC record with our DMARC Setup Wizard is very easy. It is also possible to check DKIM, SPF and DMARC records. Need more guidance on how to deploy DMARC? DMARC Analyzer publishes articles which include tips, tricks and information on DMARC topics. These articles come in very useful when questions arise during the DMARC deployment process. Please refer to our Knowledge center for more information about DMARC. DMARC Analyzer provides different types of service solutions with access to DMARC specialists. Our DMARC deployment and project management specialists can help you manage your DMARC project, mitigate risks andallow you to safely block malicious emails without impacting your other email channels like marketing, transaction, etc. Please contact us if you are interested in one of our services. Choose your DMARC Analyzer price plan! The DMARC Analyzer SaaS solution offers multiple types of licenses; Freemium, Premium, and Enterprise Choose your type of license based on monthly compliant email volume and the needs of your organization. The pricing of DMARC Analyzer is based on monthly outbound DMARC compliant mails only. 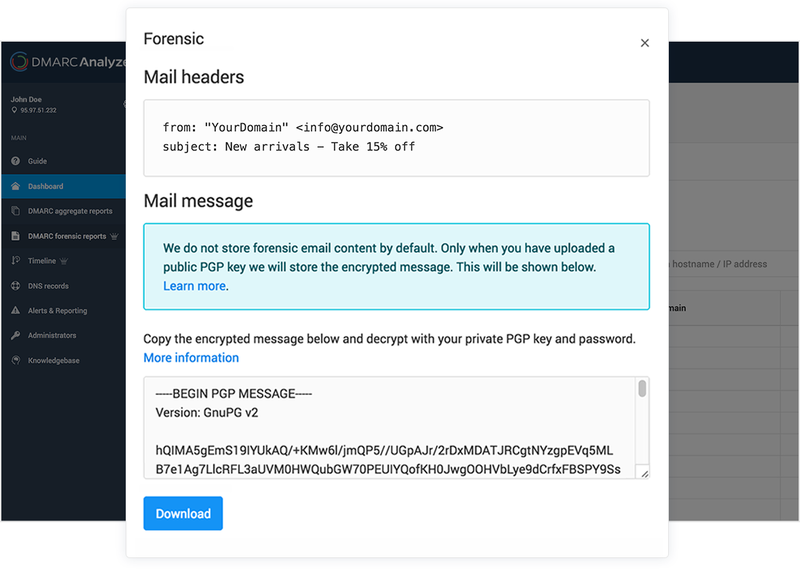 DMARC Analyzer will not charge for phishing attacks and invalid emails that may be sent on your behalf, but purely for the messages that pass the DMARC checks. You can add unlimited domains and users without additional costs. or Sign-Up for our Freemium plan < 25.000 volume with Limited history. *mentioned prices are per month based on annual subscriptions and VAT is not included.